Written on: Tuesday, June 20, 2017. In Memoriam of Ted Hoffman Jr. Written on: Friday, February 21, 2014. Written on: Thursday, February 20, 2014. 2013 U.S. Open To Host Bowling's First Ever "Battle Of The Sexes"
Written on: Thursday, May 09, 2013. Written on: Thursday, February 16, 2012. Written on: Thursday, January 05, 2012. Written on: Tuesday, November 22, 2011. Written on: Monday, November 21, 2011. Written on: Monday, August 01, 2011. Written on: Wednesday, July 20, 2011. Written on: Wednesday, June 29, 2011. Is a Little Fun Really the End of the World? Written on: Monday, March 14, 2011. Written on: Monday, February 28, 2011. Written on: Wednesday, February 23, 2011. Written on: Tuesday, January 11, 2011. 2-Handed Bowling: Is It A Fad Or The Future? Written on: Monday, December 27, 2010. Written on: Wednesday, October 13, 2010. Written on: Friday, September 03, 2010. Written on: Thursday, August 26, 2010. Written on: Monday, August 09, 2010. Written on: Sunday, August 08, 2010. Written on: Wednesday, August 04, 2010. Written on: Saturday, July 31, 2010. Written on: Thursday, July 29, 2010. Written on: Tuesday, July 27, 2010. Written on: Monday, July 26, 2010. Written on: Monday, July 05, 2010. March Madness - PBA Style! Written on: Thursday, March 18, 2010. Written on: Monday, March 01, 2010. Written on: Wednesday, February 24, 2010. Written on: Tuesday, January 19, 2010. Written on: Wednesday, December 30, 2009. DeVaney and Pluhowsky win PBA Scorpion Championships! Congrats to Bill O'Neill on his PBA Chameleon Championship! Written on: Monday, November 23, 2009. Written on: Tuesday, November 10, 2009. Written on: Monday, November 02, 2009. Trick Shots - Love 'Em or Hate 'Em? Written on: Tuesday, October 13, 2009. Walter Ray Williams Jr. Turns 50! Written on: Friday, October 09, 2009. Written on: Wednesday, October 07, 2009. Written on: Monday, September 21, 2009. Written on: Saturday, September 19, 2009. Hey youth bowlers! 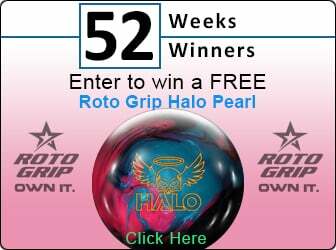 Sign up now for Malott's All Stars contest! Written on: Monday, August 24, 2009. Written on: Tuesday, July 28, 2009. Written on: Wednesday, July 15, 2009. Malott Backs Up Perfect Game With… Another! Written on: Thursday, May 21, 2009. Written on: Thursday, May 14, 2009. Can Newcomers Dethrone “The King of Bowling”? Written on: Thursday, May 07, 2009. Wes Malott Wins Player Of The Year! Written on: Thursday, April 09, 2009. Written on: Monday, March 30, 2009. Written on: Monday, March 23, 2009. Written on: Tuesday, March 03, 2009. Written on: Monday, February 23, 2009. Written on: Sunday, February 15, 2009. Written on: Thursday, February 05, 2009. Written on: Monday, January 26, 2009. Written on: Tuesday, January 20, 2009. Written on: Thursday, January 15, 2009. Written on: Monday, January 12, 2009. Written on: Monday, December 15, 2008. Written on: Tuesday, December 09, 2008. Written on: Tuesday, November 18, 2008. Written on: Saturday, June 21, 2008.